The Bolivarian Revolution in Venezuela is facing its most challenging times. The right-wing opposition, backed by the United States, is engaged in a full-blown "regime change" campaign, with violent protests occurring daily for over 2 months and resulting in over 50 casualties. The chavista supporters of the government have also taken to the streets in defence of the Bolivarian Revolution, and President Maduro surprised everyone by calling for a Constituent Assembly. To better understand the situation and where it might lead to, we have interviewed Jorge Martín, the secretary of the "Hands Off Venezuela" solidarity campaign. Ricardo Vaz: You were in Venezuela in recent weeks. How does the reality that you witnessed contrast with one being presented by the western media? Jorge Martin: There are a number of different points. The first one is that the media is presenting this idea that in Venezuela we have groups of peaceful opposition demonstrators fighting for democracy, and government repression that has killed over 50 people. This is all wrong. There are big opposition demonstrations, they have been going on now for nearly two months and have attracted quite a lot of people. But in most cases they have also degenerated into violent clashes in which the opposition demonstrators, or groups in the vanguard of the opposition demonstrations, have used firearms, home-made explosives/weapons/rocket launchers and all sorts of stuff against the police, but also against educational institutions, state buildings, housing projects of the Misión Vivienda, public transportation, they have even set up burning barricades outside maternity hospitals. On top of this there has been gunfire coming from opposition rioters also against civilians and against chavistas in general. JM: Yes, it is not correct to say that these are peaceful opposition demonstrators, it is not correct to say that what they want is democracy or that what they want is elections. In fact, their own leaders have admitted that what they want is "regime change". For example, Maria Corina Machado wrote an article in El Comercio, in Peru, where she said "the first step is the overthrow of the government. Then we can talk about having elections in a different institutional context", something along these lines. Another thing I will say is that these protests are not taking place across the whole of the territory, not even the whole of the capital city. They are very concentrated in a number of states and municipalities, most of them ruled by opposition governors or mayors, particularly in Táchira, Mérida, Barinas, Carabobo, Lara, and also in eastern Caracas. So if you are in Caracas, you can go about your daily life without ever encountering an opposition demonstration, or violence, which is concentrated in Altamira, in Chacao, to the east of the city, where the middle and upper class areas are. RV: This means the protests have not spread beyond the opposition's bastions of influence? JM: This is something very telling you see in Caracas, namely, that the opposition has not achieved one of its main aims, which was to bring the people from the barrios, the working class and poor areas in the hills around Caracas, into the protests. And this undercuts the idea that these protests are motivated by hunger and scarcity. There are problems of scarcity of basic products, people's diets have suffered in recent years, but the people that are most affected by this are the ones that remain firmly on the side of the Bolivarian Revolution. The people in the middle and upper middle class areas, that are not so affected by these economic hardships, are the main subjects of these anti-government demonstrations. And the last thing that contrasts with the picture that the media is giving is that there have been large pro-Bolivarian, chavista demonstrations. On the 19th of April there was a very big one, on May Day there was a huge one that I was able to attend. This was a demonstration that started in four meeting points in different parts of the capital, and people marched to Bolívar Avenue. Bolívar Avenue is quite long, and it was full of people for 4 or 5 hours, with waves of people coming in and out, so there must have been hundreds of thousands of people there. They were not all from Caracas. There were groups of workers coming from other parts of the country to participate in the May Day demonstration. But this was certainly a very big show of support for the Bolivarian Revolution. These major demonstrations have been supplemented by almost daily, smaller demonstrations. Demonstrations of women, peasants, youth, etc, in defence of the Bolivarian Revolution and against this right-wing attempt to overthrow it. And this is never shown by the mass media, not even referred to. So they are giving, as usual, an extremely one-sided picture of what is happening in Venezuela. 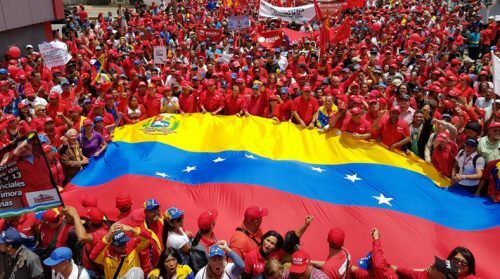 RV: Given this one-sidedness of the media and the whitewashing of the actions of the opposition, what is the role of international solidarity and in particular what is "Hands Off Venezuela" trying to do? 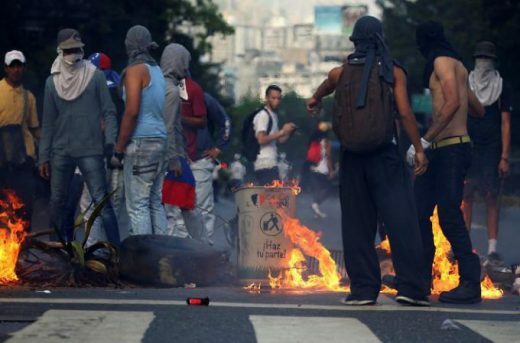 Two more protesters killed in Venezuela. The deaths bring the number of anti-government protesters killed in the last seven weeks to 42. And this is obviously not true. There have been people killed by government repression, but amongst these 42, over 50 now, these are not the majority. The majority of people have been killed as a direct result of political violence by the opposition, for example, by gunfire coming from opposition lines, or as an indirect result of that.2 So our task is to try to spread truthful information to labour movement activists, left-wing activists, student activists and so on, in order to counter the lies of the media. We should also try to hold the media accountable as much as we can. But the spreading of truthful information and a counter point of view is very important so that people can then make up their minds as to what is really going on in Venezuela. And this is one of the key tasks of the solidarity movement right now. RV: Going back to one of your points, you have mentioned that the opposition protests have not managed to spread to the barrios and in two months they have hardly made any progress. What do you think their strategy is at this point? JM: It is a bit difficult to say, because there are many different factors involved. But I would say that we have reached a point already where the opposition supporters are getting tired and frustrated by the lack of progress. As you say, they have been demonstrating for nearly 60 days and they have not achieved any of their aims. Above all, they have not achieved any substantial support for their protests in the working class and poor areas, but so far they have also not managed to break the state. There has been no movement inside the army, even though the opposition leaders constantly appeal to the the army to come out and overthrow the government. Other than some statements by the State Prosecutor, that the opposition are trying to claim is on their side, there have not been any major breaches in terms of the state institutions. They have not pushed the government out, or into making substantial concessions that they could present as a victory. So they are basically trapped, they are in a cul-de-sac, and what I see now is a section of the opposition demonstrators, and some of the leaders, going for a radicalisation of the protests, in terms of becoming more violent, using terrorist methods. 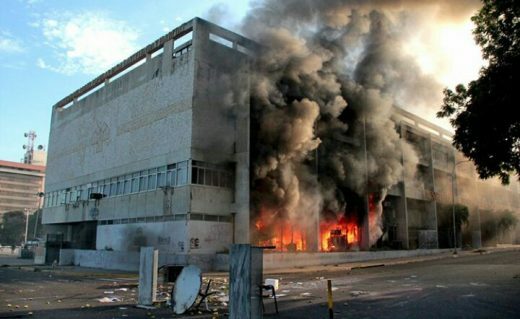 In the last few days, for instance, they attacked a National Guard barracks in Táchira and set it on fire. There was also a very high level of insurrectionary right-wing violence in San Antonio de los Altos in recent days, with basically everyone locked in their homes, and protesters taking control over the city for a number of days, with the support of the local opposition mayor. And similar situations have happened at points in Táchira, in parts of Mérida, in Barinas, in Barquisimeto. That is the kind of strategy that they are following. But I also think that if they do not manage to step up the mobilisation or achieve any of their aims, this will also push a section of them towards the negotiating table with the government. And this will create a big split within the opposition. You have to remember that the leaders of the opposition are already very discredited among their own ranks because of their actions in October/November last year, when they basically called for big demonstrations, promising that the government was going to be overthrown, and then immediately switched towards the negotiating table, at which they did not achieve anything. JM: Yes. And also the opposition protests are becoming more and more unpopular, because of the level of violence they use, because of incidents like the one a few days ago when protesters identified someone as an "infiltrator" and set him on fire. The protests become inconvenient to people's daily lives, going to work, going to study and so on, and therefore there is now a strong current of people who do not necessarily support the government but who nevertheless reject the violence of the opposition demonstrators. So this is also working against them. This is also playing, in a certain sense, in favour of the emergence of a third camp figure, and in the last few months now there has been a lot of talk about Lorenzo Mendoza becoming such a figure. He is the owner of Grupo Polar3and although he participated in some of the opposition demonstrations in October, he has been mostly silent recently. There was an Hinterlaces poll that said that he would be the preferred candidate in an opposition primary election, above any of the current political leaders. There are people playing with this idea, that the government is an economic disaster, so putting a businessman in charge might be the solution. And some people might fall for that. There are another two unknown factors. One of them is Henry Falcón, governor of Lara state, a former chavista who moved to the opposition, and Manuel Rosales, who was the opposition presidential candidate in 2006. A few years ago he fled the country due to an arrest warrant for corruption charges. He later returned, was detained briefly and has now been released, and I think there is a possibility that some of these people might try to reach a compromise of some sort with the government. On the other hand, the situation could also descend into a civil war. If the violent opposition elements radicalise their terrorist activities, there can be also a violent response from the chavista side. In some areas of the country it has already happened that, even if only for a few days, there was a complete breakdown of law and order. RV: So what do you think is motivating the opposition leaders to go all-in with their violent plans? JM: What is clear is that the opposition leaders want the overthrow of this government and they think they have a chance now. They also have international support, with Trump coming out clearly on their side, and Colombian president Santos is now playing a key role. While in the past he pretended to be friendly towards the Venezuelan government, particularly during the peace negotiations with the FARC, he has now broken ranks and come out publicly against Venezuela, even conducting a series of provocative moves, like sending armoured cars to the border. One of the ideas of the opposition is precisely the opening of a "humanitarian corridor" in the border with Colombia, that could also come into play. So the opposition leaders think that they have a chance of coming to power and they do not want elections. It is not correct to say that. They want to overthrow the governmen• and then create new framework in which there might be elections or not. 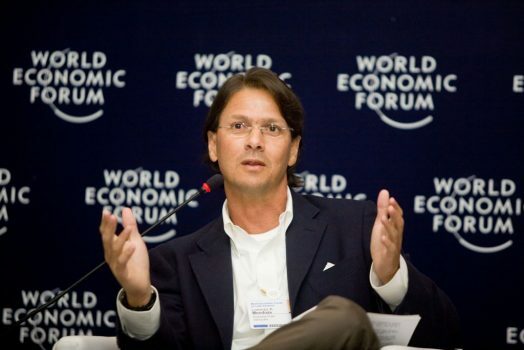 Jorge Martín is the secretary of "Hands Off Venezuela", a campaign in solidarity with the Bolivarian Revolution and in opposition to imperialist intervention in Venezuela. He is also a member of the International Marxist Tendency and writes regularly on "In Defence of Marxism". 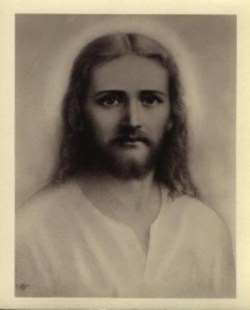 He can be followed onFacebookandTwitter.